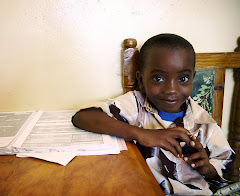 American Foundation for Children with AIDS: Saving the Next Generation: What is Nike Up to? What is Nike Up to? Good question! Some Nike employees are busy raising funds and getting into shape so they can climb Kilimanjaro in September. While this might not seem like such a big deal, it really is. These 12 folks are climbing to save the lives of children affected and infected by AIDS. Check out this little video to learn what Nike is up to - it is amazing what this team is doing. I find it inspirational and hope that many others folks, from all walks of life will decide to do something for others. If you want to volunteer with AFCA or if you want to organize a hike or climb to raise funds for kids in our programs, please get in touch with us. We'll get you going!